Sharpen your skills and make new friends! Always FREE to play but limited seats available. 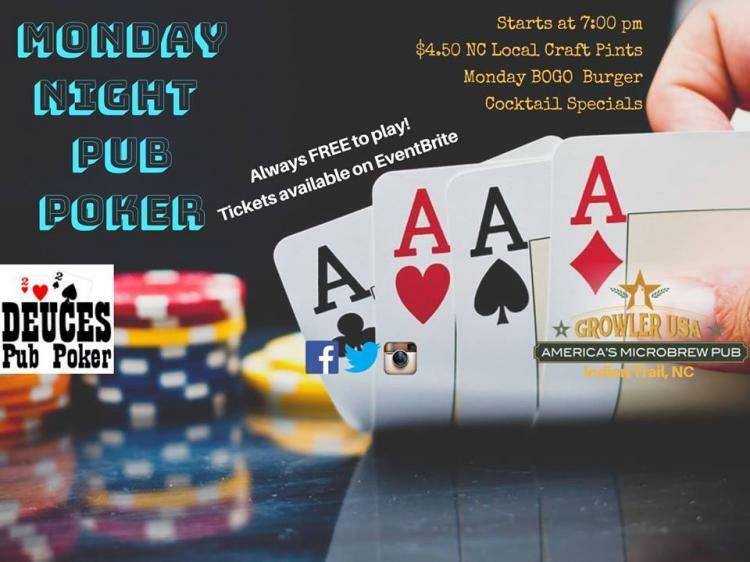 Jointly hosted by Pub Poker league veteran Deuces Pub Poker and Growler USA - Indian Trail! Pints, bites and Poker to start your week right. Don't forget to ask about our cocktail specials. May the best hand win. We will see you there!